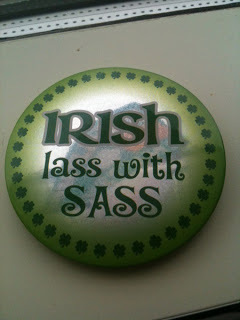 I don’t like to brag about it, but actually I am 3/4 Irish! Three of my grandparents were Irish, coming to Canada in the early part of the 20th century. Curiously, I was brought up to hate the English (! 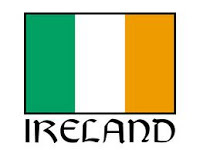 )–myself and all of my siblings were named after Irish martyrs ( my full name is Kevin BarrySpraggett)–something that is quite funny considering the English/French history in Quebec during the final years of the 20th century! Many of the more radicalized Quebecois hated me because they said I was English….but we actually had quite a bit more in common than they realized! 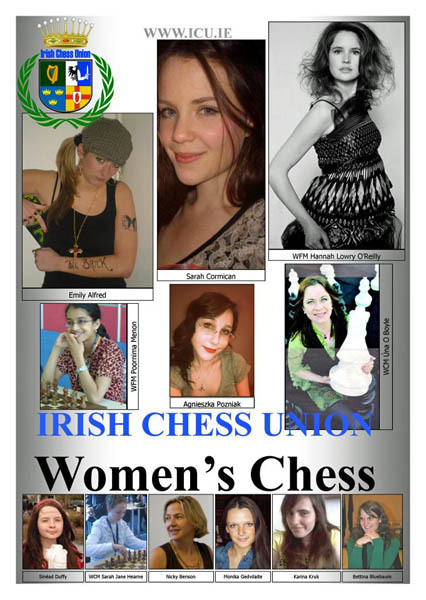 ANYWAY, I often visit Irish chess sites, and one of my favourite is the Irish Chess Union where I recently lucked upon a nice campaign poster to promote women’s chess in Ireland. Check it out! There is even a Facebook page! Previous story Today’s Tartakower tactic!